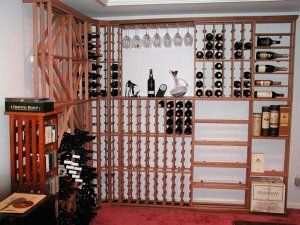 "I wanted to share with you, a photo of my modular wine rack that I purchased from RoseHill and for which you were so helpful in getting my order taken care of. Also, if you would, please share this with Sheila, who was very helpful in designing it. As you can see, I have a ways to go to fill it but I'm very pleased with the way it came out. Thanks again and I'll be back when I'm ready to expand."